In the early morning hours of Tuesday, April 7, a traffic stop in Red Oak resulted in two individuals’ arrests for possession of marijuana and drug paraphernalia. According to a news report at Kmaland.com, the stop was conducted just north of Villisca near the intersection of Highways 71 and 34 at about 2 a.m.
One of the men, 19-year-old Alex Kristofer Tucker, is a resident of Cherokee, IA. The driver of the vehicle stopped by deputies is 21-year-old Kevin Eduardo Salinas of San Antonio, TX. Both men were arrested and taken to the Montgomery County Jail in Red Oak, where they are held on $1,000 bond each. Deputies were assisted in the investigation by the county K-9 officer. 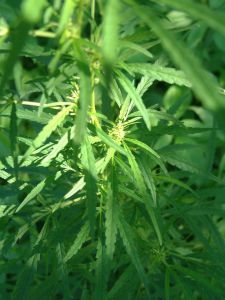 Possession of marijuana is a serious drug offense in many states, although some have made the use of marijuana for recreational purposes legal. In Iowa, it is still illegal to possess marijuana. Penalties for first-time offenders include fines of up to $1,000 and a maximum of six months in jail. In Michigan, the penalties for a conviction on charges of possession of marijuana are a bit more serious. For instance, a first-time offender may face fines of up to $2,000, and jail time of up to one year. Additionally, the possession of marijuana plants could leave someone facing felony cultivation charges. Depending on the amount of marijuana in a person’s possession, prosecutors may also attempt to “trump up” the charge to possession of marijuana with intent to distribute/deliver, which leads to even harsher penalties for those found guilty. Regardless of the situation you are in, never attempt to go it alone. Police will interrogate you relentlessly in an effort to get you to say something that may incriminate you. You have a right to remain silent – use that right, and contact a Michigan drug crimes attorney immediately to ensure that your legal rights and freedom are protected. A skilled defense lawyer will work to prevent a conviction, advise you of various legal options, and secure positive results.